We love products which actually work, are produced ethically and are thrilled when it is local as well. 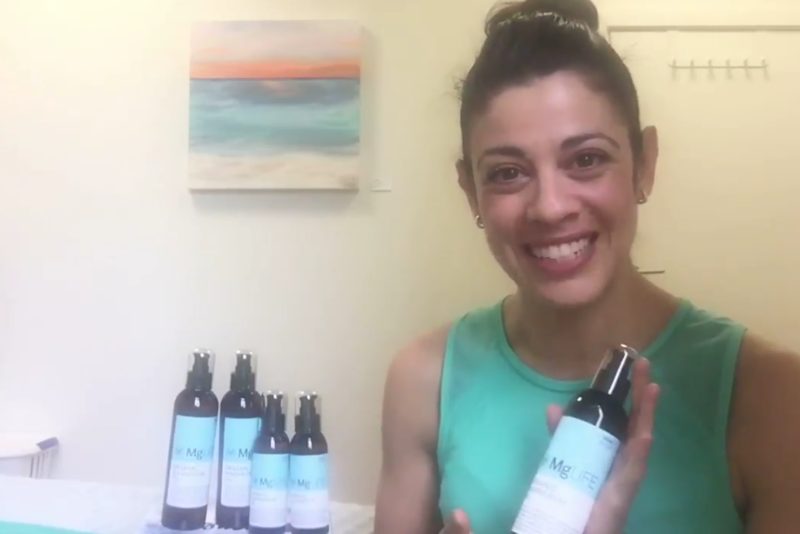 Meet MgLife, the 100% organic magnesium oil. This beauty is vegan friendly, made without any chemicals or other nasties and is not tested on animals. Oh, and did we mention we love it?! Magnesium is a vital mineral for over 300 biomechanical reactions in the human body. It helps maintain muscle, skeletal and nerve function and strength, and supports the immune system and the heart. It is a cofactor in protein synthesis, regulation of blood glucose and blood pressure. It is part of calcium and potassium transport across cells, which is important for your Nervous, Muscular and Circulatory System. For further information to the functions of Magnesium in the body and dietary requirements: https://ods.od.nih.gov/factsheets/Magnesium-HealthProfessional/. Clients who have tried MgLife reported less delayed onset muscle soreness and cramping after exercising. The muscles were more relaxed and free of aches when used after exercise. Try MgLife for restless legs by using the oil directly on the areas on a regular basis. A general use on the feet over night will improve relaxing muscles and nerves and help ease into a great night sleep. Magnesium deficiency-caused headaches will be relieved with the application on the neck along the hairline. If magnesium deficient, the use of MgLife on a regular basis may improve your overall wellbeing. 4 pumps provide an average of 117mg of elemental magnesium (460mg magnesium chloride). Especially because of its high quality and it is undiluted, a patch test 24 hours before use on the inside of the wrist is recommended and in cases of sensitive skin we would recommend a slight dilution in a carrier oil such as sweet almond oil. Come and visit us at b3 and try our MgLife tester! We are not medically trained doctors, please consult your health professional if you suspect a magnesium deficiency and use of products and supplements. MgLife is 100% organic, highly concentrated and leaves no residue behind, so no need to worry about stained clothes. 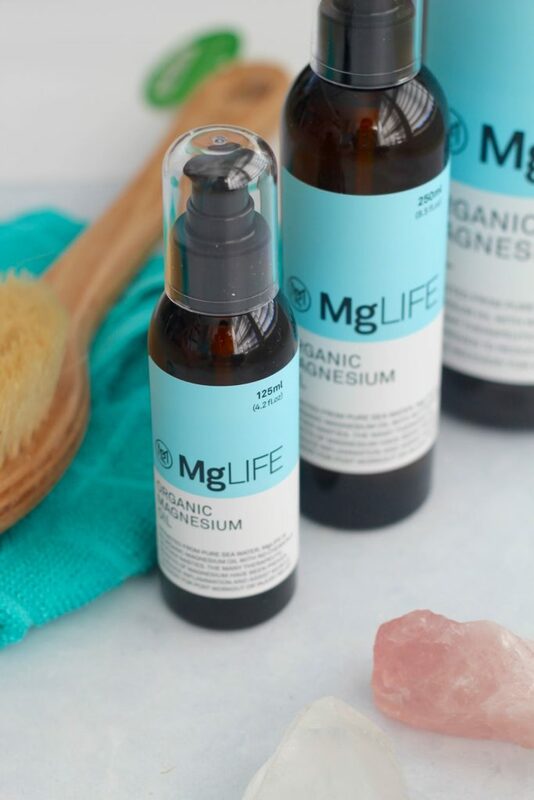 MgLife pride themselves on producing purest and most concentrated magnesium on the market today. 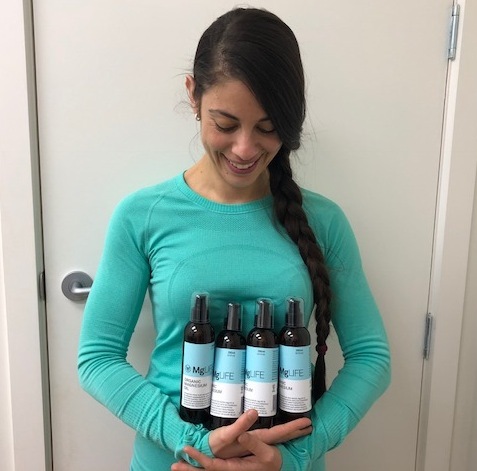 Each bottling process is scientifically tested to maintain the highest of standards and for better handling a pump bottle instead of an easy clogged up spray is used. That’s the care we like to see! Make MgLife apart of your recovery and feel its positive effects!